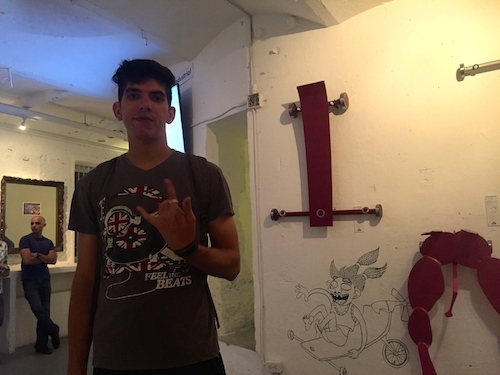 Kevin, a 24 year-old design student, checking out the skateboard exhibition at La Fábrica. When we arrived there is already a line snaking its way around the block: Cuban girls in heels, boys in gold chains and brightly printed graphic tees, foreign tourists or exchange students sprinkled throughout. At the door a few groups try to grease the impressively built bouncers. Some people are successful just by dropping the right name, or flashing their Biennial art festival badges—available only to those (mostly foreign tour groups) who paid for them ahead of time. It’s the Biennial’s opening night at La Fábrica in Havana, and as several people have emphasized to me, it is the place to be. 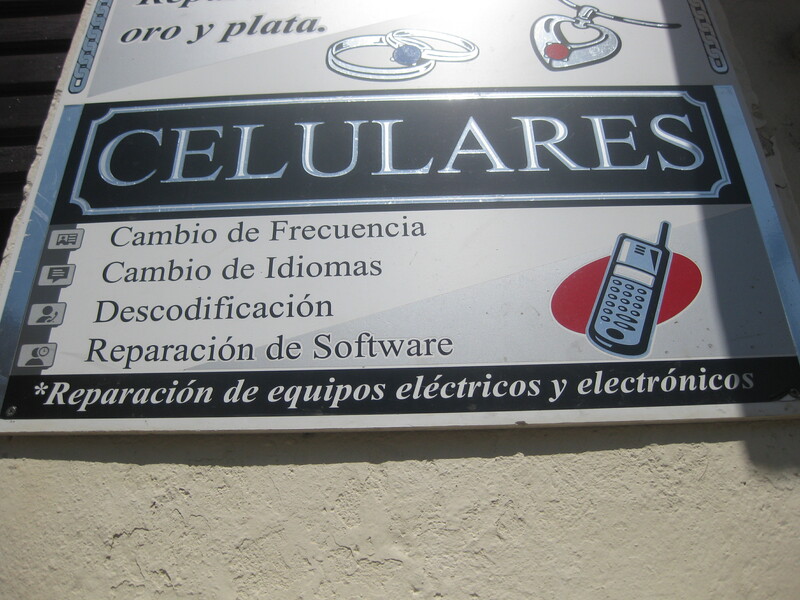 I always knew I wanted to do my fieldwork in Havana. Following President Raúl Castro’s economic reforms in 2010 and then President Barack Obama’s decision to renew diplomatic relations with the country last December (and the slew of media hype that has followed), it feels like the right time to be here; a time when Cuba is on the brink of transformation (or not at all, as many of my more cynical Cuban friends will tell me). Leaving for Havana on my direct flight from New York (another change) the check-in line filled with American tour groups headed to Havana’s 12th Biennial— an international art festival that takes place in the city from late May through June—it did feel different, and that an opening up (and commercialization) is actually happening. Now in Havana it is my goal to assess what the “changes” we read about have tangibly resulted in for Cuba’s younger generation: does it impact their daily lives, their aspirations for the future, their conception of themselves? Junio killapi, 2013 watapi, Doris Loayza investigacionninta ruwashaqtin Huamanga llaqtapi, Perupi, qelqakamayoq Wari Zaratewan tuparan. 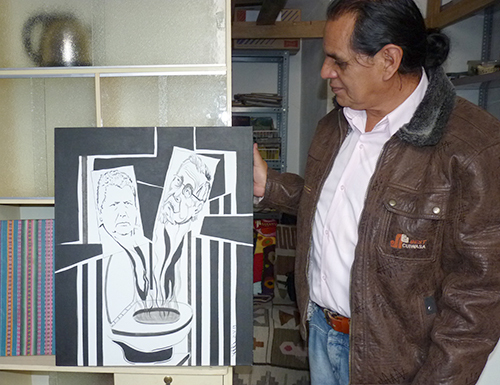 Pay pintor, yachachiq ima kan Escuela de Bellas Artespi Huamanga llaqtapi. Chaypi pay pinturata, esculturata, dibujota ima yachachin. Kunan pay huk librota qelqashan. 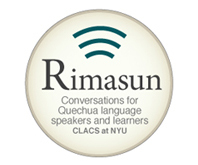 Kay libroqa rimanqa: imaynatachus colores nisqakunata, muhuta, laqhekunata ima kay pacha kawsayninchispi mana chinkananpaq kawsarichispa. Pachamancata mihuyta tukuspa, Doris, Wari ima rimaranku. En Junio de 2013, Doris Loayza se encontraba realizando su investigación de campo en la ciudad de Huamaga, Ayacucho-Perú, donde me encontré con el pintor Wari Zarate. Actualmente es professor de la Escuela de Bellas Artes de Huamanga donde enseña pintura, escultura, dibujo y otros. 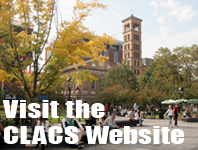 Escribe un libro sobre la recuperación y uso de colores naturales de hojas y semillas nativas de la zona. Esta entrevista se llevó a cabo luego de una suculenta pachamanca como almuerzo. In June 2013, Doris pursued my field research in Huamanga city, Ayacucho-Peru where she met a painter Wari Zarate. Currently he works at the Escuela de Bellas Artes Huamanga where he teachs paiting, sculpture, drawing, etc. He is writing a book about tradicional colors made from native plants and seed of the region. This interview was made after a delicious pachamanca meal. This summer I came to Cuba to research the emergence of non-institutional art spaces in the city of Havana. As I began to make contact with local artists to discuss where they create, show and sell their art, I quickly discovered that modes of communication had drastically changed since the last time I had studied abroad in Cuba in 2008. SJR uses art projects like this mural depicting the stages of displacement as a form of therapy for many of its refugee clients. 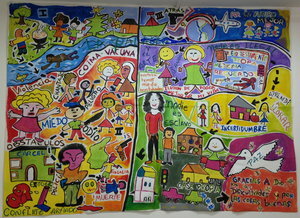 On a wall in the office of Jesuit Refugee Service – Panama (Servicio Jesuita a Refugiados, SJR) hangs a mural, painted by SJR’s clients, depicting their journey from violent displacement in Colombia to relative safety and self-sufficiency in Panama. The mural synthesizes the stories of hundreds of SJR’s clients – refugees, asylum seekers, and the like – and serves as an expression of the human consequences of the armed conflict in Colombia. No one knows precisely how many refugees are living in Panama today. A January 2013 estimate by the United Nations High Commissioner for Refugees (UNHCR) placed the number at just over 17,000, but the agency readily admits the reality could be quite different. In recent years, other human rights organizations have estimated the number could be as high as 75,000.